In the winter of 2009, out of the blue, my wife Julia met up with her Grade 5 teacher from 38 years earlier. Over lunch the next day they reminisced about the ukulele group that Denise had started all of those years ago and how much fun it was. That evening Julia and I wondered if the ukulele still had the same appeal for elementary students that it did then. What we found was amazing. There were a number of adult groups around the Toronto area that met and sang and strummed together weekly. There were some wonderful performers such as James Hill and Ralph Shaw who were trying to spread the news about this easy to play instrument. But mostly, there were thousands of students just waiting to have a musical experience that would last a lifetime. Ukulele Kids was born! We started our pilot program at Duke of York and Elkhorn Public Schools for which we scrounged up ukes from a number of retail stores around Toronto. I wrote a curriculum for the program and hired a teacher and Julia set up the business side. 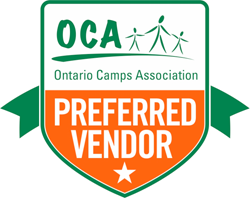 The demand grew so quickly that we contacted a major Canadian ukulele distributor and by the end of the first we had over 600 kids enrolled in our new program. In the last ten years we have put over 18000 ukuleles into the hands of children and adults in Toronto, Ottawa, Barrie, Niagara, Vancouver, Winnipeg, Nelson BC, Edmonton and we are continuing to expand into other Canadian cities. 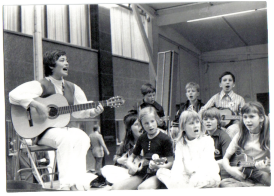 So, what has worked to make the Ukulele Kids program so successful? The program is parent paid. The cost includes 8-10 lessons at lunch or after school and includes a ukulele for the child to keep and a songbook. 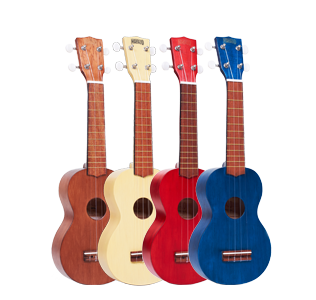 The ukes come in 8 bright colours for the students to choose from. We integrate our performances into the school music programs at assemblies or concerts. There is no cost to the school to have the students musically educated and the uke is a family friendly sing-along instrument that can be taken anywhere. It is now considered that fastest growing instrument in the world. Ukulele Kids has become a full-time, all consuming business for Julia and me, but the rewards are significant. As a retired music educator, the ability to continue to expose children to the joys of learning music extends the career choice I made so many years ago into my retirement years. However, there are many interpretations of the word retirement. For me, it simply means, "What new challenge can I meet today?" I am proud that I have put that question in front of 18000 new ukulelists over the last ten years and I continue to look forward to the future growth of Ukulele Kids. Ukulele Kids is a family owned, Toronto-based company. Ken Jones, co-founder of Ukulele Kids, has over 30 years of expertise teaching instrumental music and theory to both children and adults. As Head of Music at Earl Haig/Claude Watson School for the Arts in North York, Ontario, Canada, Ken led many award winning ensembles at Provincial and National competitions. As well, he composed and arranged music for over 65 software titles for elementary schools produced by Discis Knowledge Research. In addition to adjudicating for many provincial music festivals, Ken is also Music Director at Kilcoo Camp for boys in Minden, Ontario. He regularly performs both with his band and as a solo pianist on concert stages at many venues across the GTA including corporate events, private functions and clubs. As an ‘edu-tainer’ Ken shows students that learning to play an instrument is a fun and creative experience leading to a life enriching love of music. Former Toronto and Vancouver elementary school teacher, Denise is a professional singer, artist and world traveller. Included in her various teaching credentials is an Ontario Department of Education Music Specialist certificate. Her love for the ukulele began in her childhood and she found it to be a great teaching tool for her students from kindergarten to grade 8. Well known for her vocalizing, she has conducted award winning children's choirs and performed for years with big bands and small ensembles. She brings to her lessons a joie de vivre, a broad culturally diverse repertoire, and loads of experience teaching children and adults. Denise wants everyone to experience the ease and fun of playing this user-friendly versatile little instrument along with the sheer joy of accompanying their own singing. She is a true believer that "music self played is happiness self made".